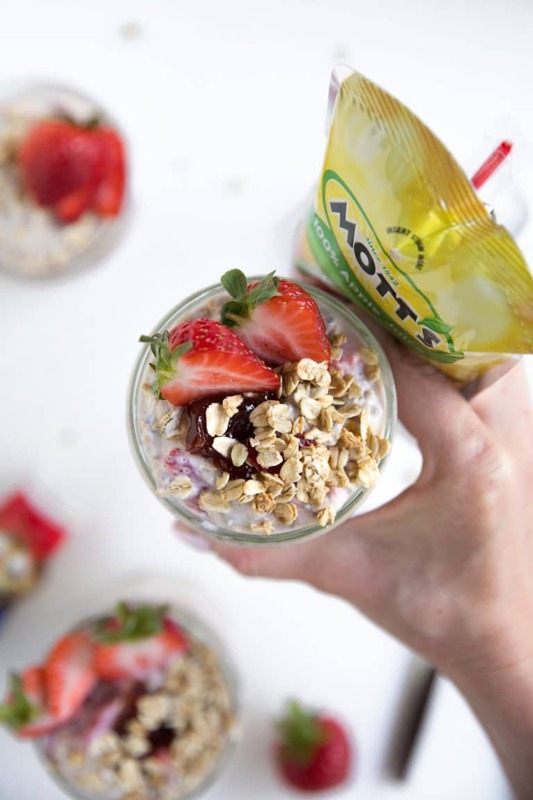 This Strawberry Yogurt Overnight Oats Recipe has been sponsored by Dannon & Mott’s®. All thoughts and opinions are my own. 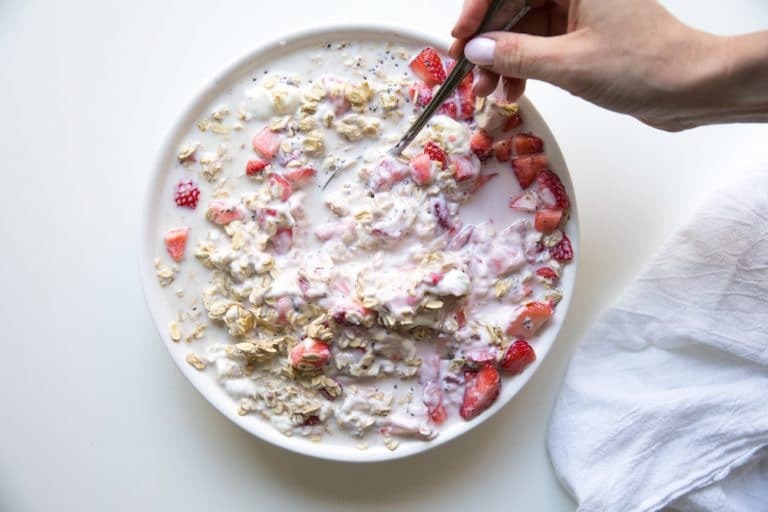 Say goodbye to sugar-loaded breakfast battles with super easy, make-ahead STRAWBERRY YOGURT OVERNIGHT OATS. A family favorite, even my 3-year-old can’t get enough! 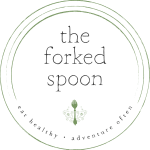 We are all about Overnight Oats with Yogurt here at The Forked Spoon and love these Pumpkin Pie Yogurt Overnight Oats, Cherry Overnight Oats, and Peach Overnight Oats. Prior to having my son I never put much thought into breakfast. In fact, before he was born breakfast usually consisted of coffee and toast or a cup of yogurt. Simple, easy, grab-n-go; the best kind of breakfast for anyone who only has to think about themselves. Fast forward four years and only two things remain constant: coffee and grab-n-go. Over the past several years, and especially now that Octavian is fast as lightning, stubborn as a mule and as clever as a fox, I always have to be one step ahead of him. Full disclosure- this only happens about two percent of the time, but that two percent is so worth it! 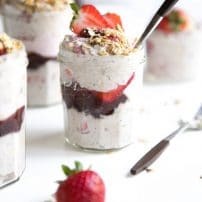 Protein packed and loaded with fiber, these Strawberry Overnight Oats with Yogurt taste amazing and are super healthy. Made in bulk for the week. Can be taken in the car, to work, to school, etc. Minimal amounts of sugar- aka the healthy (fiber, protein, etc.) outweighs the sugar content. My kid will eat it. Finding something that meets all these criteria is not easy. 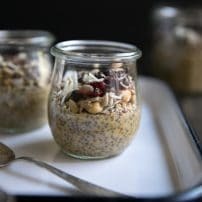 I have about two, maybe three, of these miracle breakfasts up my sleeve and these Overnight Oats are BY FAR the favorite with the two boys in my life. That’s it! So super easy to mix together a big batch of these glorious overnight oats before bed and leave the morning to more important things like… coffee. 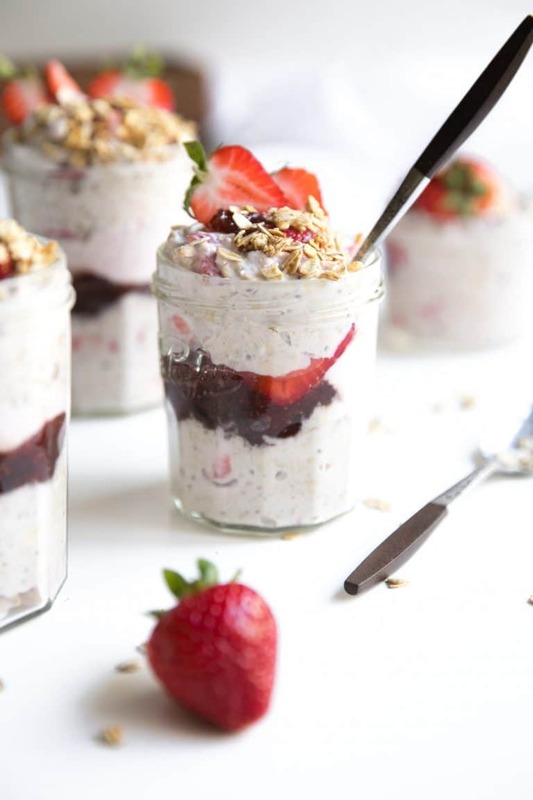 WHAT’S IN THESE STRAWBERRY YOGURT OVERNIGHT OATS? Protein. And lots of it. 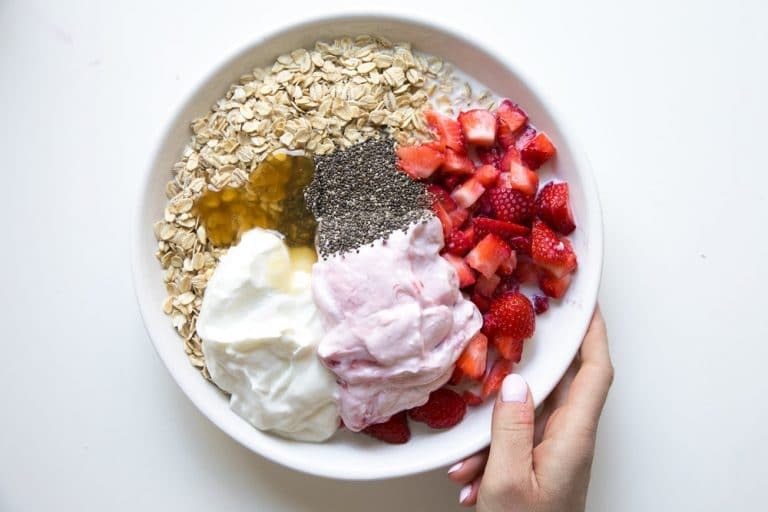 Thanks to the protein from the oats and milk, I also loaded these bowls with Strawberry and Vanilla Dannon Light & Fit Greek Yogurt to give them that little extra punch of protein. Fiber. Oh yes, my friends. Fiber does a body good. Those quick cook oats have 4 grams per serving and I added some chia seeds to boot. Fresh fruit. 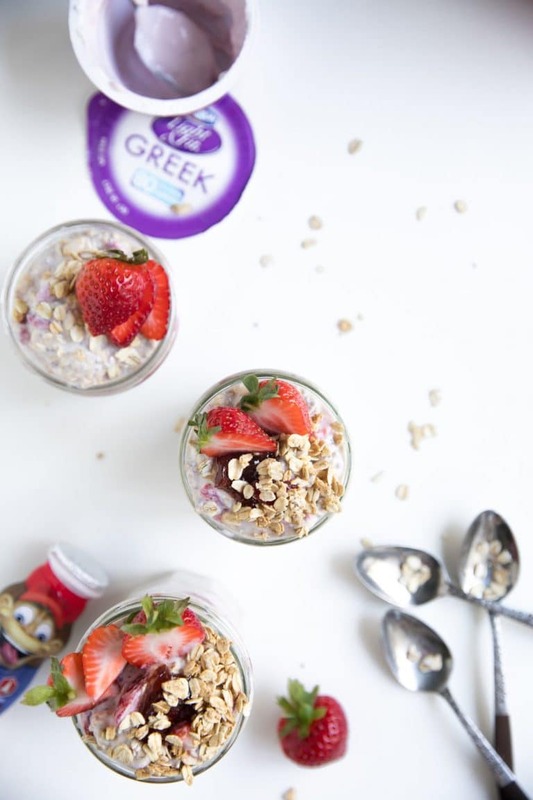 Overnight oats and fruit are a match made in heaven and fresh strawberries are the perfect complement to the Strawberry and Vanilla Yogurt. Sanity. Mornings are hard. Overnight oats make them better. I recently discovered Dannon Light & Fit Greek Yogurt and I am obsessed! Right there in the yogurt section, I don’t know what’s taken me so long to pick up a package (or 5). Just 80 calories per cup, these delicious and creamy yogurt cups have 12 grams of protein EACH and just 6 grams of sugar. A yogurt with twice as much protein as sugar is a rare find in the yogurt world. Plus, they come in a variety of delicious flavors. So, sample away, my friends! Since Mondays are hard for everyone in my house, I have started preparing a big batch of overnight oats with yogurt on Sunday night to get us ready for the week. Strawberry has been the overwhelming favorite, however, sometimes I give Octavian the option to pick the flavor of the week. Raspberry or blueberry are his other favorites (not surprising, my child is a berry lover). Which reminds me, a bowl of spilled overnight oats is about a million times easier to clean up compared to a bowl of cereal. And when you’re a mom, with a to-do list a mile long and clean laundry that never gets folded, those few extra seconds are everything. In a bowl. 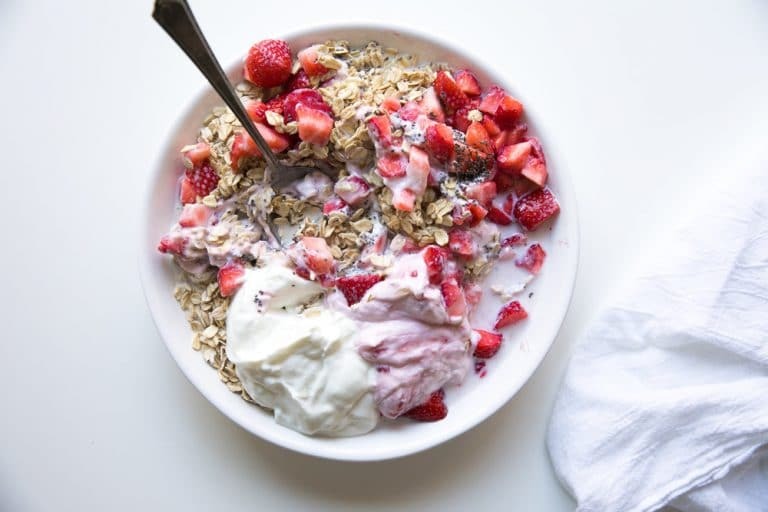 Depending on your mood or your family preference, you can mix up your overnight oats with yogurt in a big bowl, cover, refrigerate and leave it as is (this is how I do it 90% of the time). Or you can be fancy and put them in jars. When I first started making overnight oats I always put them in jars as a way to entice Octavian into eating. I soon realized that wasn’t necessary since he loved them so much. Now I usually just put them in jars if I’m trying something new, need a few ready and available as a grab and go snack or lunch, or if I know people are coming over for breakfast and I don’t feel like cooking. …or as a special request from my husband because the man would happily eat them for breakfast, lunch, and dinner. 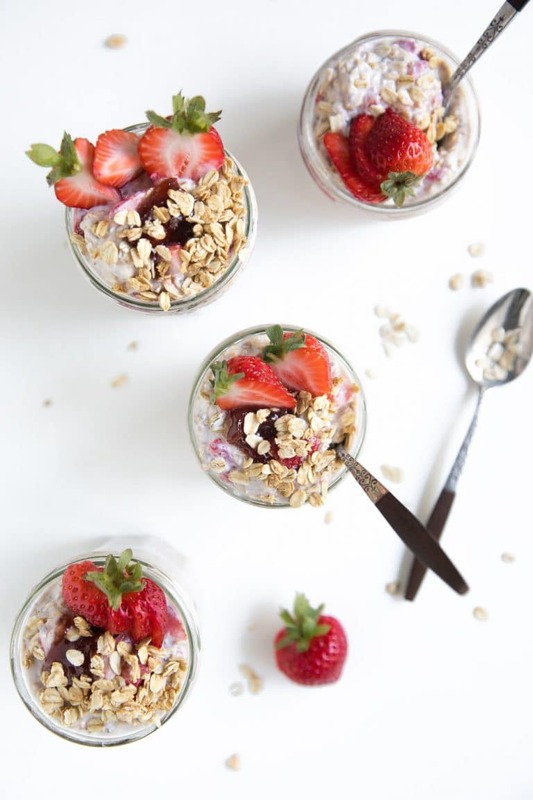 If you try making these strawberry overnight oats, please leave me a comment and let me know! I would love to hear your thoughts. 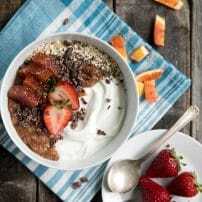 DON’T FORGET TO PIN THIS RECIPE FOR OVERNIGHT OATS WITH YOGURT TO PREPARE FOR YOUR FAMILY TO ENJOY THROUGHOUT THE WEEK AS A HEALTHY AND DELICIOUS BREAKFAST OR SNACK. 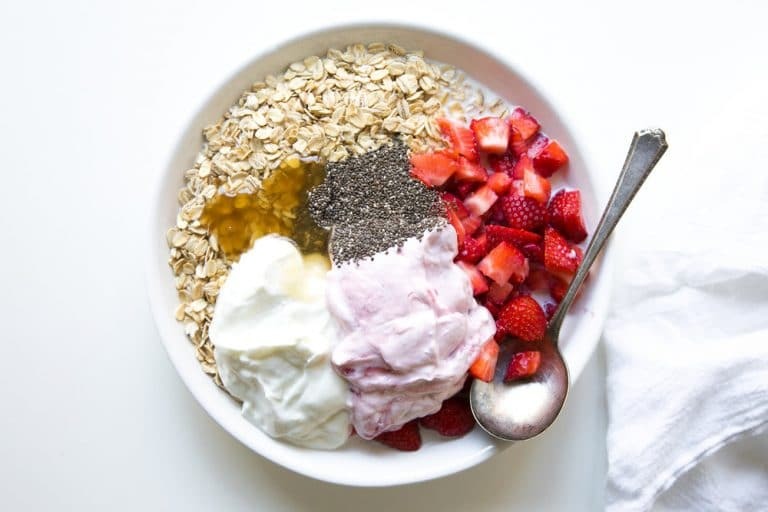 Healthy, delicious and loved by the whole family, these Strawberry Yogurt Overnight Oats are packed full of gluten-free rolled oats, Greek yogurt, fresh strawberries, milk, and chia seeds for an easy, grab-n-go, protein-packed breakfast!! Mix together all ingredients in a large mixing bowl until ingredients are fully combined. Transfer to individual jars, layering with strawberries, strawberry jam or additional Dannon Light & Fit Greek Yogurt, if desired. Cover each jar with a tight fitting lid and transfer to the refrigerator. Store in the refrigerator for 4-12 hours to thicken. I put this together last night for myself and my 18 month old granddaughter. She just gobbled it up! It’s so yummy and easy. I used almond milk, and maple syrup instead of honey. I also used siggi’s brand of yogurt. A lot less ingredients and no artificial sweetener. So delicious! I didn’t add anything extra this morning like extra strawberries, jam, or granola. I just mixed everything up again and served it. 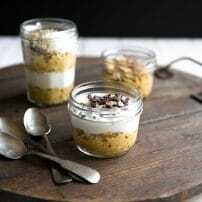 I will make this often and will change it up with your other overnight oats recipes. Thank you so much Jessica! Hope you have a wonderful day! Thank you Maureen! It makes me very happy that you and your granddaughter enjoyed it so much!!! This was so easy and tasty, thank you! I had fun reading this. 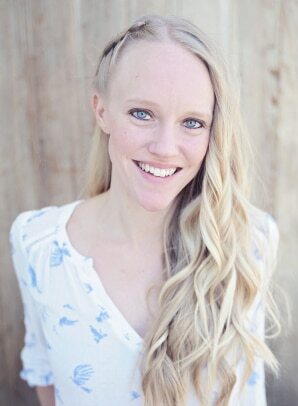 I really love your writing style! Thanks for the ideas. I will make a similar version to this with what I have Available in Thailand! I love overnight oats! 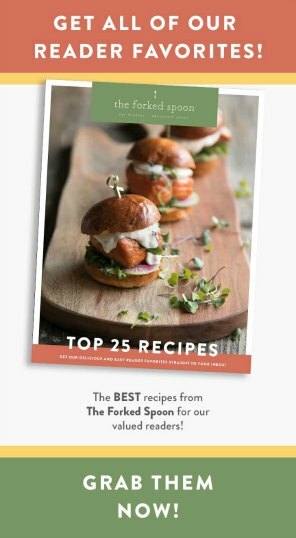 Looks so delicious and healthy – such a great idea for hosting a brunch too! This is a great way to start the day! Make ahead of time and mornings go smoothly! I love me some overnight oats and your version looks so vibrant and delicious! Strawberries are such an awesome addition! Thank you so much! It’s so yummy and who can resist juicy, red strawberries?! Yes, girl! Get yourself some strawberries and enjoy! Our family is always on the go and these are so easy to grab in the morning! I am addicted to overnight oats! This sounds perfect for summer breakfasts with fresh from the vine berries! Me too! My kid loves these easy breakfasts and it’s a bonus there’s no prep in the am…just grab it and enjoy! !